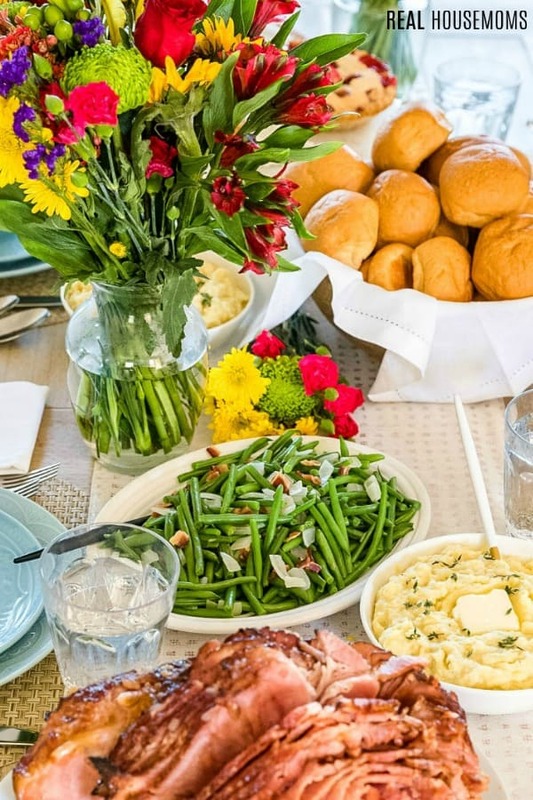 Hosting Easter dinner is a breeze with Sam’s Club! This low-prep, budget-friendly holiday meal will leave your family convinced you spent all day in the kitchen! This post has been sponsored by Sam’s Club. All opinions are 100% my own. I love the holidays. I love joy and merriment of the winter season, I love the feeling of hope and renewal that the Spring brings, and I love every holiday occasion in between. What I do not always love, however, is cooking the same elaborate holiday mean three, sometimes four, times a year. To be completely honest, by the time Spring blossoms I still feel like I have barely recovered from winter. When Easter rolls around the thought of a traditional turkey dinner does not excite me. For this reason, I am opting out of turkey this year and turning to Sam’s Club to take advantage of their feed 10 for under $47 Easter dinner! Like these tips? Pin them to your EASTER pinboard! Spring break is a busy time at my house. The sun is finally starting to break through the cold of Winter and my kids want to make the most of their break from school, so we try to plan some family outings and spend some quality time together. Spending time with my family is important, so I try to limit my time spent running errands by choosing Sam’s Club for all of my Spring entertaining needs. 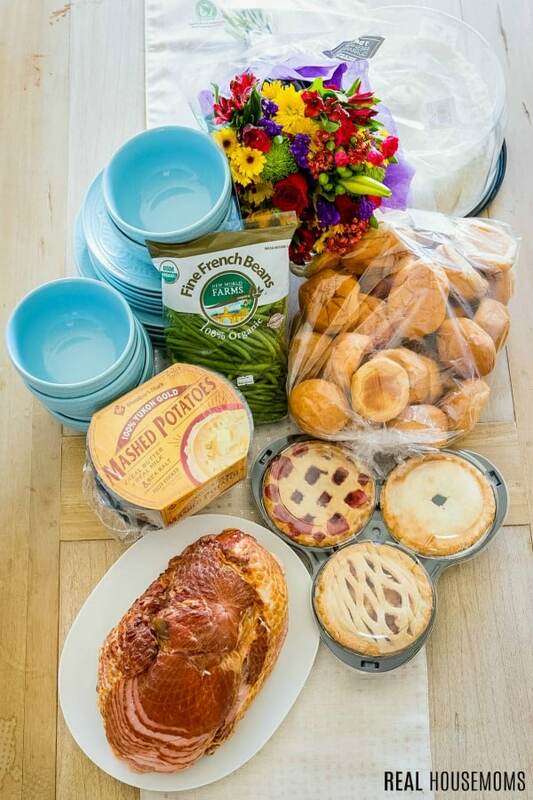 I love the convenience of being able to get everything I need all in one store, but one of the most amazing perks to shopping at Sam’s Club is that I can buy all the food I need to feed 10 for under $47 for Easter dinner! 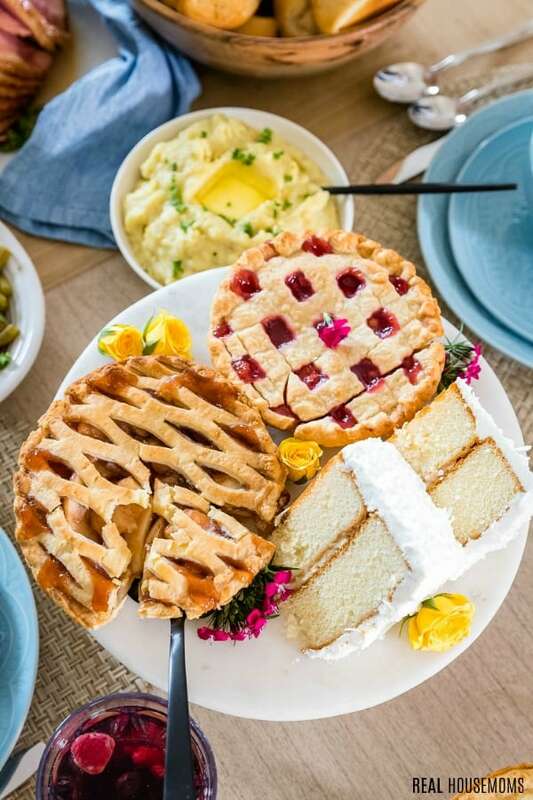 This all-inclusive shopping list includes their Member’s Mark™ Bone-in Spiral Ham, Member’s Mark 100% Yukon Gold Mashed Potatoes, Member’s Mark 36 Count Yeast Dinner Rolls, Fresh Green Beans, and of course the Member’s Mark 6” Pie Trio for dessert! To make this already easy shopping trip even more convenient, I can pick up all my extras here too! I usually grab a couple of Floral Centerpieces to fancy up my table and ready-made Deviled Eggs to keep my guests satisfied until dinner is served. Did I mention you can take advantage of their Club Pickup, order ahead online, and Sam’s Club associates will have your order ready when you arrive? Yeah. It is almost too easy. Since we are already riding the convenience train, why not make dinner prep easy too by whipping up my favorite green beans with bacon and onions. This recipe only takes 10 minutes to make, and oh my gosh are they good! 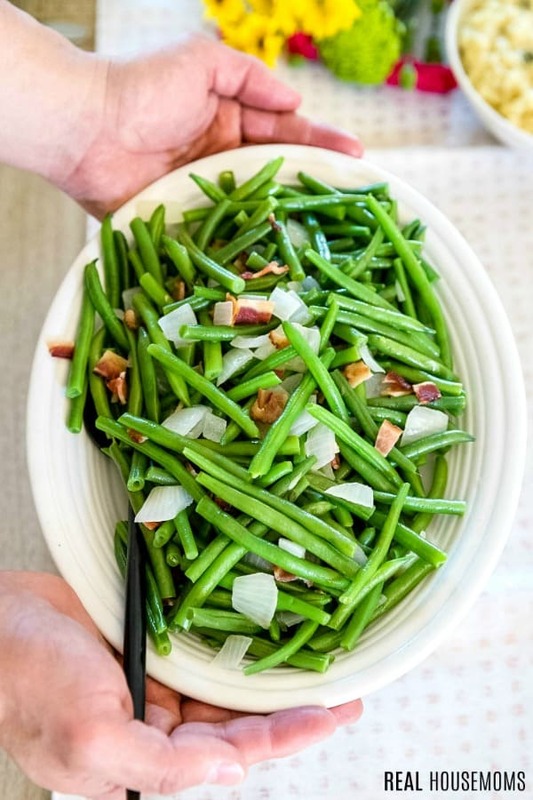 It all starts with fresh, organic green beans, good quality bacon, and onions for a side dish your family will ask you to make again and again. 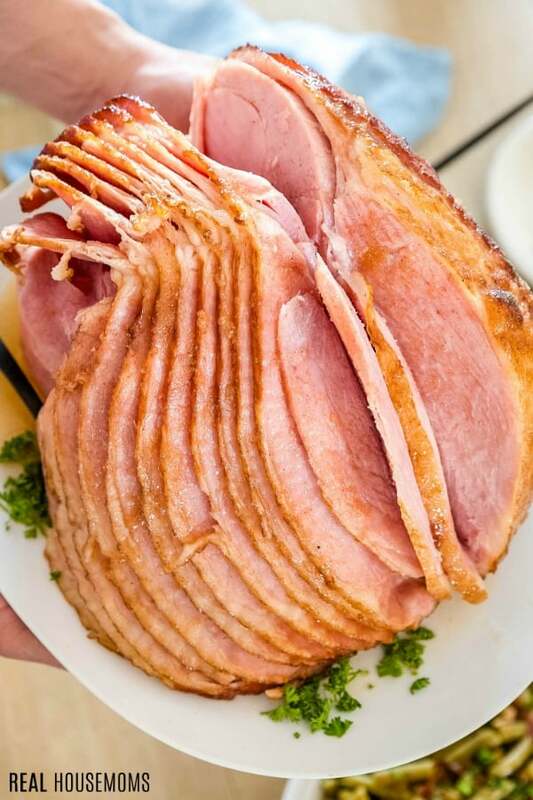 But let’s talk about the real star of your Easter table, the ham. 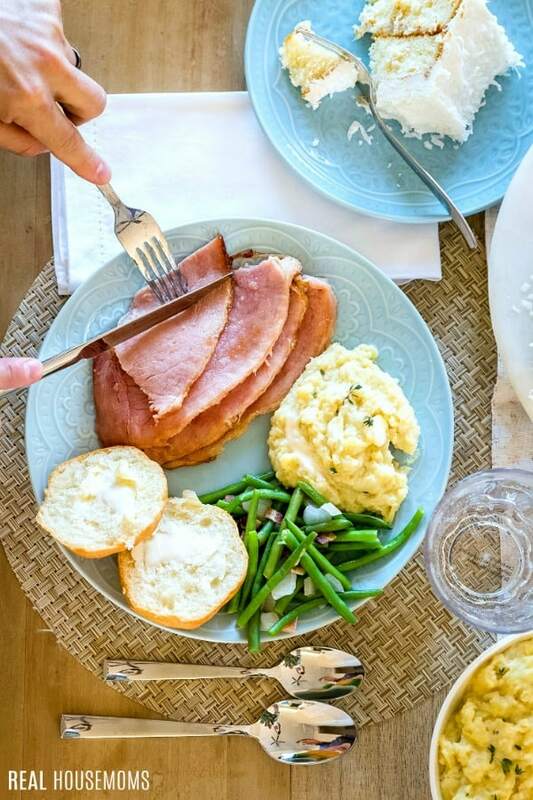 This Member’s Mark™ Bone-in Spiral Ham is a breeze to whip up. All you need to do is follow package directions using the glaze packet. It’s pretty fool-proof. 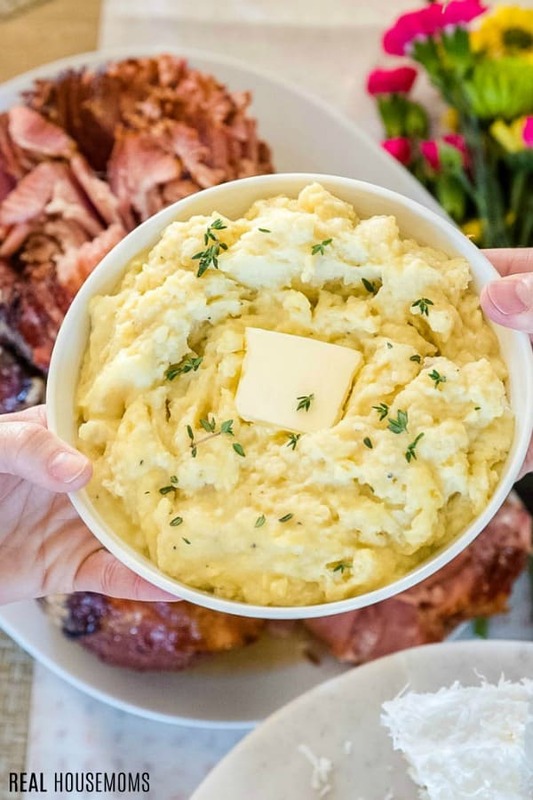 While the ham finishes cooking I warm up our Member’s Mark 100% Yukon Gold Mashed Potatoes. These potatoes a fluffy and delicious, not something you might expect from a packed option. Trust me on this one, they are amazing! Transfer the potatoes to a serving bowl, add a little garnish and no one will ever know they aren’t homemade. I serve up our Member’s Mark 36 Count Yeast Dinner Rolls as they come from the bag, but you could pop the rolls on a baking sheet and warm them in the oven for 5 minutes if you like warm rolls. They’re baked fresh daily at Sam’s Club. They are soft and delicious and there were plenty of rolls for everyone at our table. And, of course, we cannot forget about dessert! The fresh baked in club Member’s Mark 6” Pie Trio with apple, cherry & blueberry pies is perfect for those who can’t decide on just one flavor. With this pie trio being part of the feed 10 for under $47 menu, who can resist? I picked up a decadent coconut cake as well because my family can’t say no to coconut, but there are a number of fantastic dessert options to choose from. When you’re ready, pop them right out of their cases onto a serving plate and just like that, dessert is served! Just because you are entertaining guests, does not mean that you need to go over the top and reinvent the wheel when it comes to serving dinner. 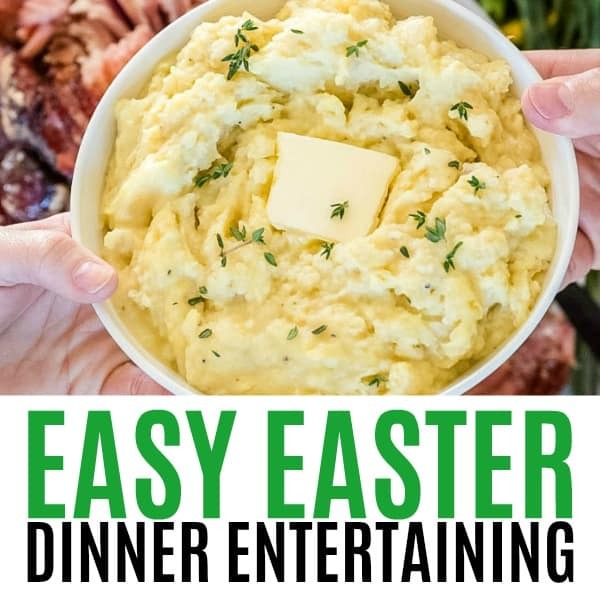 A deliciously fresh and simple meal of everyone’s favorite ham and Easter dinner side dishes will get just as many compliments as your most technically challenging meals. Do yourself a favor this Spring and keep it simple so you can spend more time enjoying those around you. Above all else, enjoy the time you have with the people you have around you and do not be afraid to stray from the sometimes played out dreaded repeat holiday dinner. Making new traditions is always a fun way to bring everyone together.